1. my favourite title for posts is "whee"
and so, in an effort to get myself in gear, i've decided the best inspiration to do more work is to give myself more work to do! so, i'mk going to redesign this blog, since it looks pretty dull. 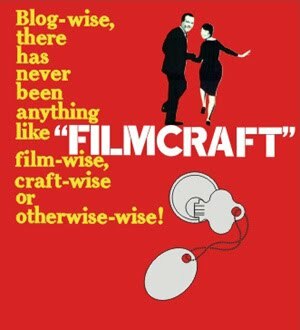 and since i'm too cheap to go pro with this site, filmcraft is moving to blogger. so - today a new url, and renovations to follow shortly!